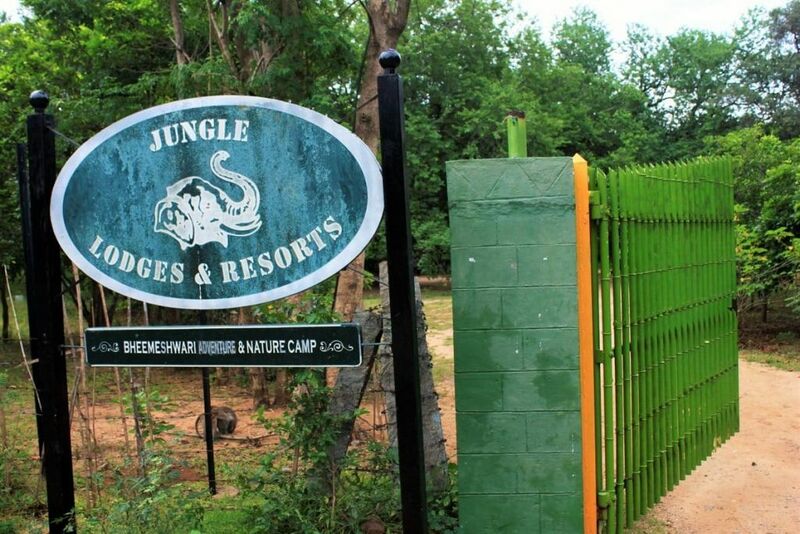 Bheemeshwari Jungle Lodges– Got bored from Bangalore urban life? looking for a nearby and quick drive out? A plan to Bheemeshwari day trip wouldn’t be a bad idea at all. 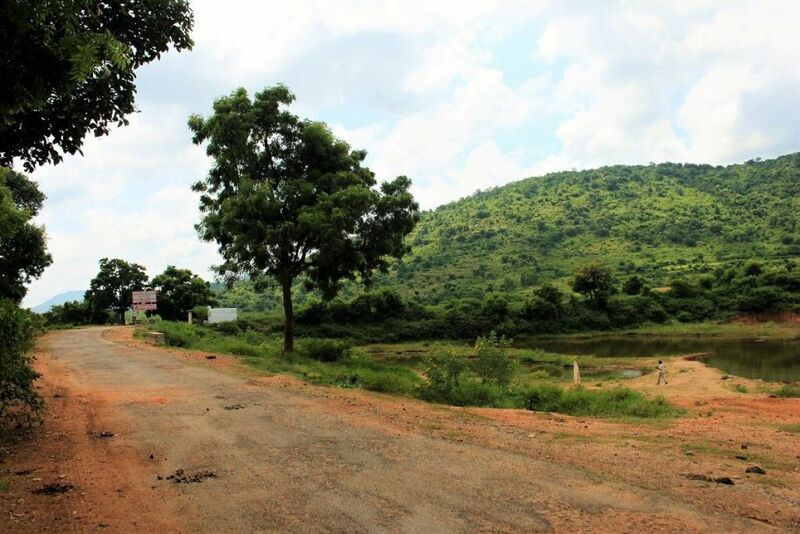 Bheemeshwari resort would give you the experience of living in Jungle and on the bank of Kaveri river. 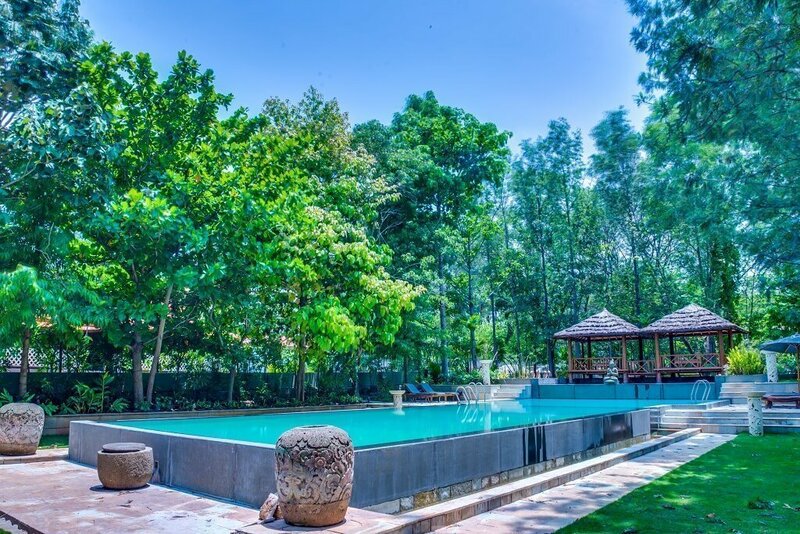 Bheemeshwari is by the nearest adventurous gateway near Bangalore and closer to what a nature resort with in-house activities can offer. 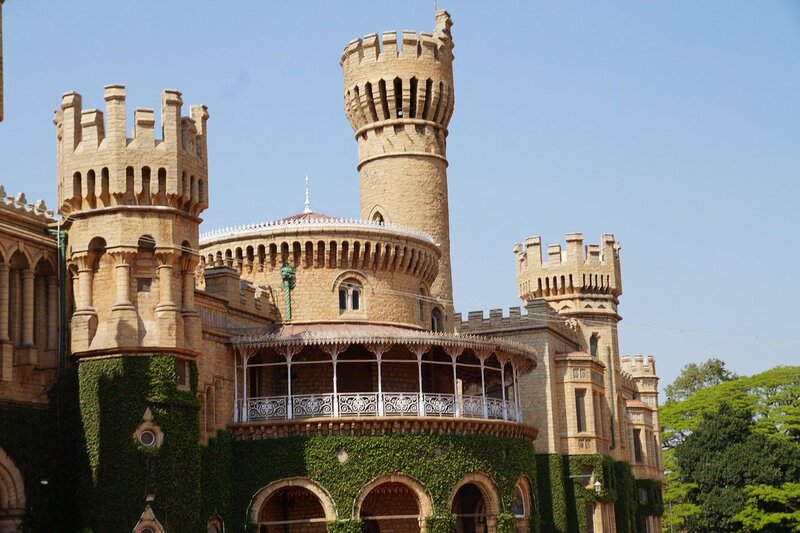 Located at a distance of about 100 km from the capital city of Bangalore. 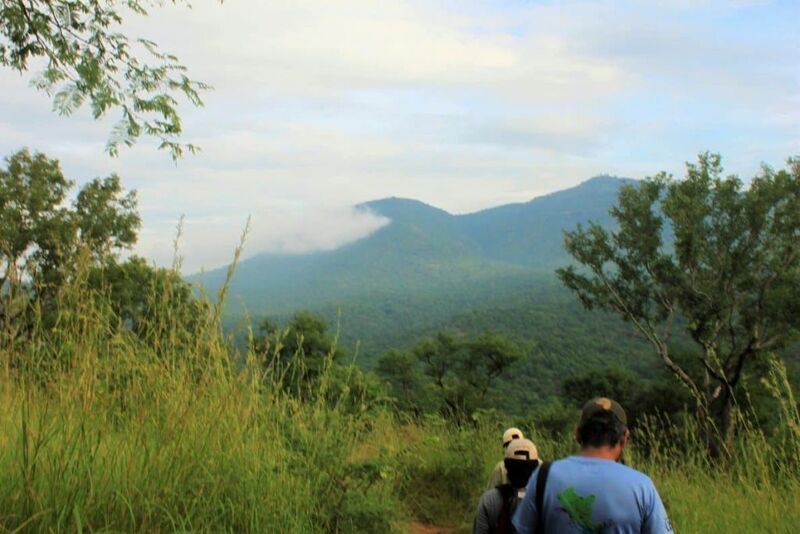 It is a perfect place for trekking and sightseeing as it is blessed with immense natural beauty and spectacular landscape. 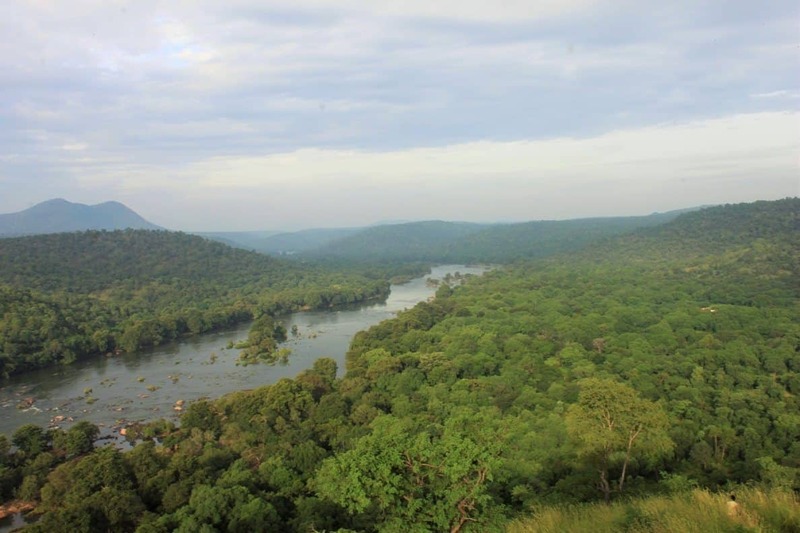 Located on the banks of the River Kaveri and in the middle of dense forests, Bheemeshwari is surrounded by lush greenery and picturesque hilltops; it is one of the most beautiful tourist destinations near Bangalore. 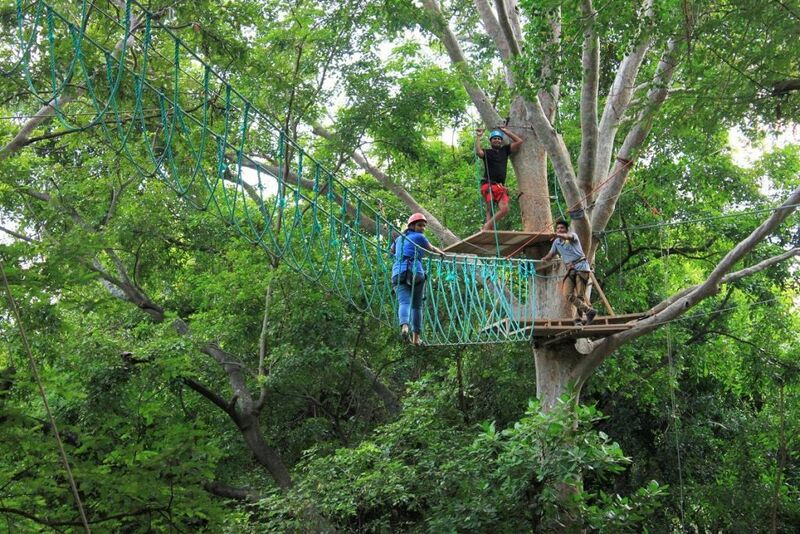 Whether it’s action-packed adventure or just a chance to get closer to nature, Bheemeshwari Nature and Adventure Camp ran by Jungle Lodges and Resorts (JLR) is just the place for it. 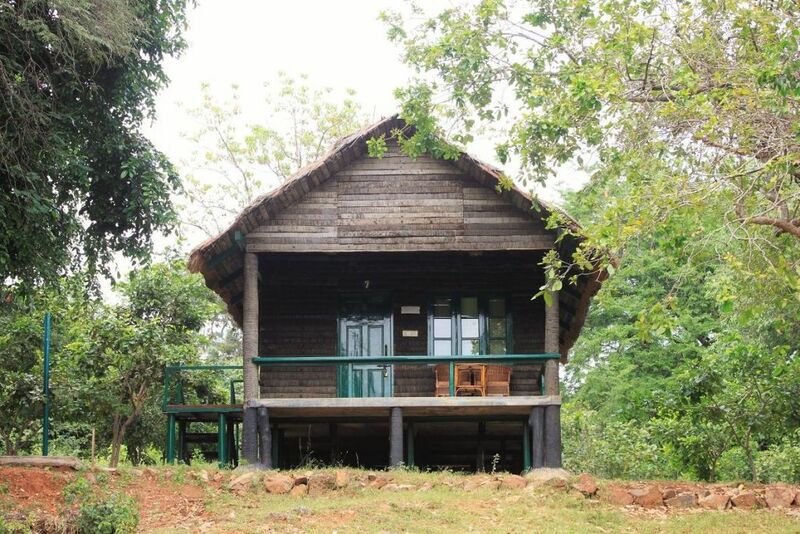 We booked our stay with TheKarnatakaTourism (Unit of Dandeli.com), they have an exclusive partnership with Jungle Lodges across Karnataka at best location. I would recommend my readers to check the new UI/UX site of TheKarnatakaTourism for planning and booking the stay at the most competitive rates and have a memorable experience that will surely last for long. 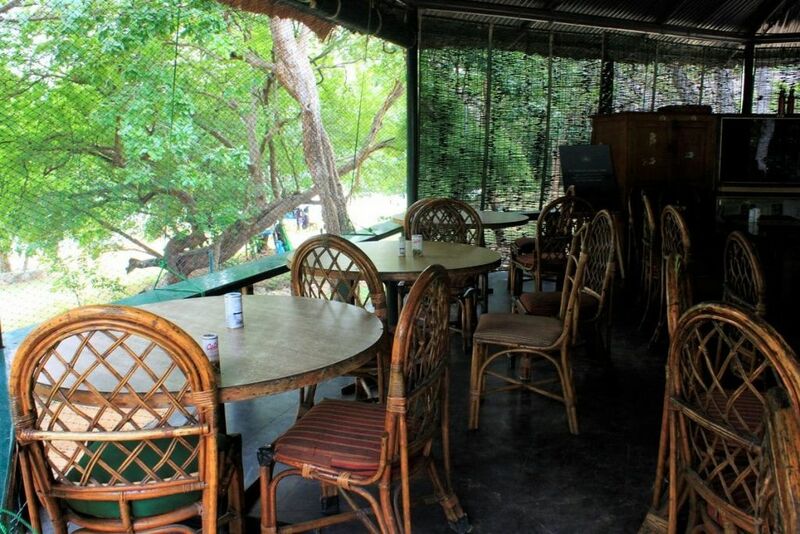 The camp has luxurious log-huts on stilts, well-equipped tented cottages (twin beds with attached bathrooms) and luxury cottages, log huts and a bamboo hut situated bang on the Kaveri River. 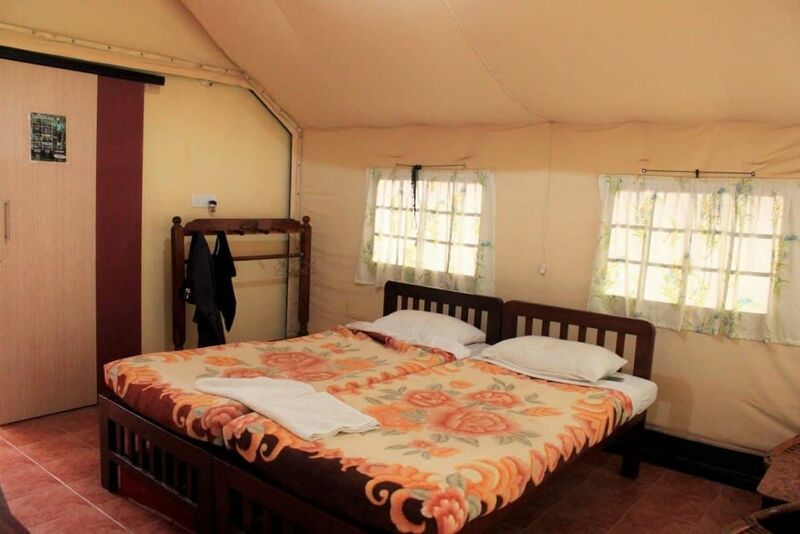 These jungle lodges go well with the surroundings and offer the best of amenities. The rustic looking lodges offer spacious rooms and contemporary interiors which are a complete contrast to their exteriors. 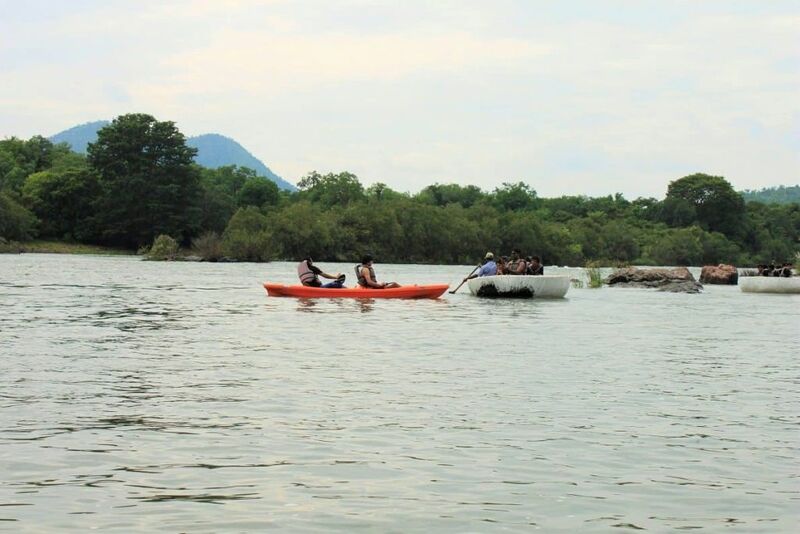 The lodges are best finished with experience to explore the forests along with enjoying some adventure activities such as Kayaking, Ziplining, Camp Fire, Burma Loops, Cat Walk, Elephant Walk, River rafting, Coracle rides or even gentle kayaking on the placid waters of Kaveri. 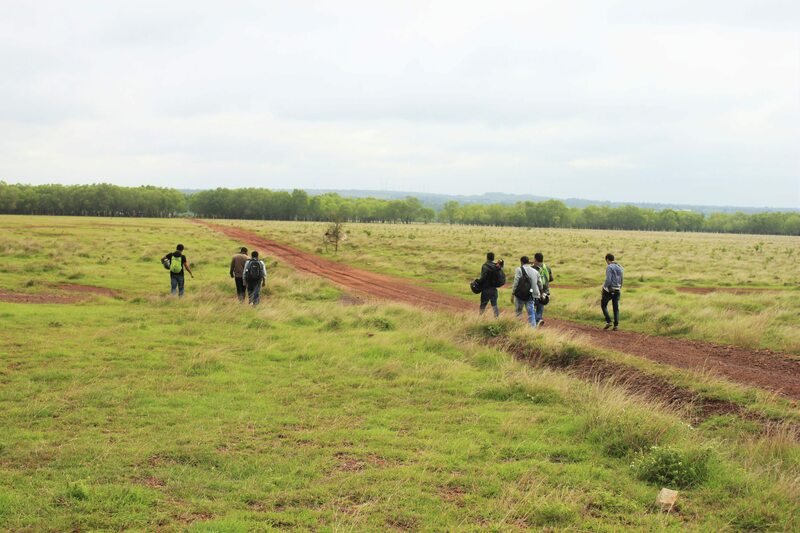 The best experience would be nature walk in the morning to the top of a small nearby hill, it’s a 1hr trek (moderate) guided by experienced resort staff, the fantastic view of Kaveri and her path is breathtaking, with numerous sights of birds. 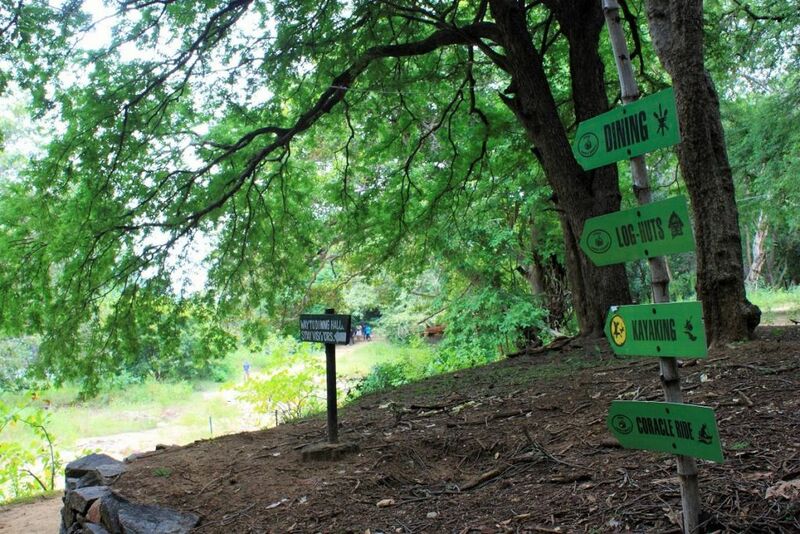 These lodges are the best place for kids because of numerous outdoor activities for learning some good lessons. I found lodge’s staffs to be polite, experienced and well trained to handle the guests, however, do expect a great rush on weekends, and then the services might be delayed. 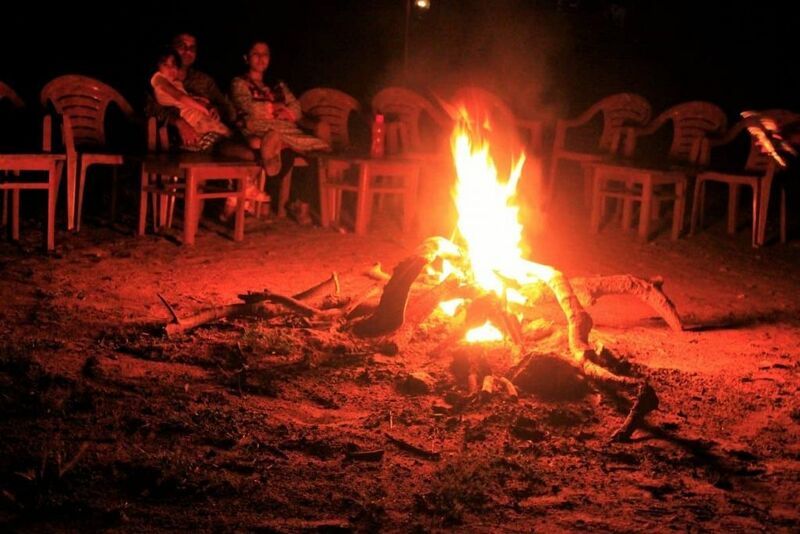 Evening campfire on the bank of the river is another best experience to have. However, there are few things to remember while going to lodge and within the lodge, do make every bit in reaching the lodge before evening. 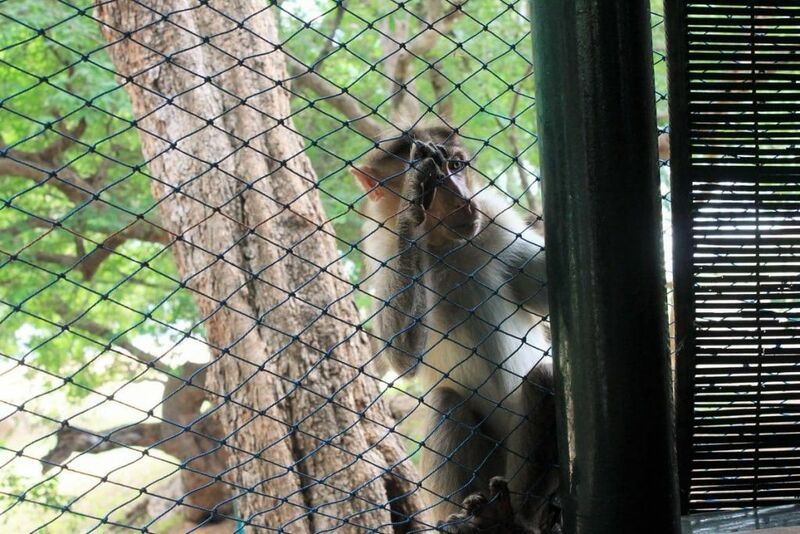 The lodges are located in the middle of the forest and so the roads are narrow and in bad shape, there’s Monkeys menace in and around lodges. Please secure your belongings, take care of your Kids and never disturb those creatures. Rest assured; it’s the best and quick gateway from Bangalore and Mysore for a lifelong memorable experience. Very nicely written !!! Keep up the good work. Waiting for more like this from your side.